Summary: I recommend this walk is done on a clear day as the views on the upper reaches are spectacular. 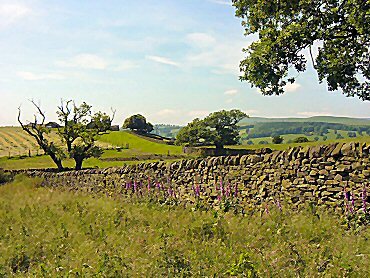 Beamsley Beacon provides splendid views of the surrounding landscape and the rest of the walk is no anticlimax with walking in the most beautiful countryside. 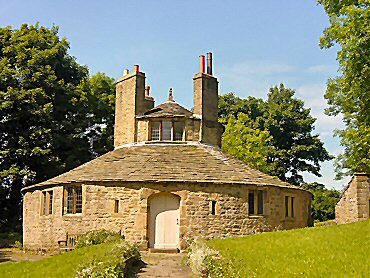 The sleepy hamlets of Hazlewood and Storiths are a joy to amble through and there is a surprise for history buffs in store too as the visit to Beamsley Hospital provides an uplifting history lesson. This super walk is full of interest with beautiful views and a few history lessons along the way. I did it on a lovely summers day and without doubt it is best done in summer for the scents of flowering hedgerows were a joyous accompaniment to the lovely sights I experienced all along my walk. 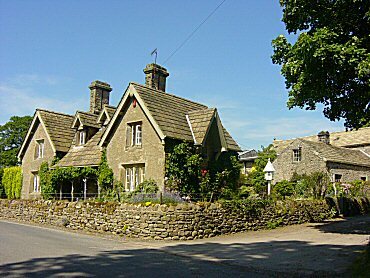 I began my walk from Beamsley, a small village hidden by trees from the A59 Harrogate to Skipton trunk road which is very close by. 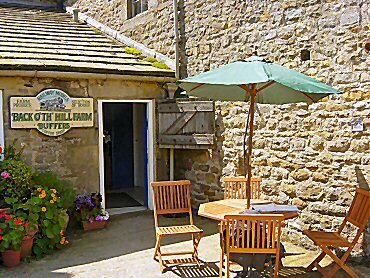 Parking is limited in the village so if you can't park then drive up Langbar Road to the car parking area near Howber Hill Farm. I was glad I found a spot in the village for I wanted to get the climbing out of the way first. After the climb I could really enjoy my walk. As I had found one of the few convenient parking places in the village my work began immediately. I climbed out of Beamsley by following Langbar Road which was profuse with foxglove. The flowers are a marvellous sight on a glorious summers day which brings the most vivid purples and pinks from their flowers. On my climb which was a stiff one along the roadside my attention alternated between the colours of the roadside flora, the brilliant green of the roadside trees and the mass of my upland target, Beamsley Beacon. After a while I left the road to walk through fields past Gibbeter Farm to Howber Hill Farm. 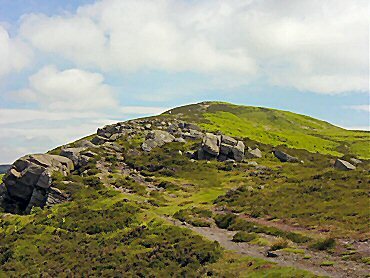 Howber Hill is the alternative name for Beamsley Beacon. I don't know why the hill has two names. Some say Howber Hill is the more proper name but Beamsley Beacon is definitely the more popular and the first title on Ordnance Survey maps. I'll respect both names for the hill is impressive and once I had done the hard work of climbing it the views I was rewarded with were wonderful. I took a well earned rest to take them in. From the top of Beamsley Beacon I had great views of Upper Wharfedale to the north west and Lower Wharfedale to the south east. Round Hill, a previous walk I had done could be seen just over 2 kilometers to the east. 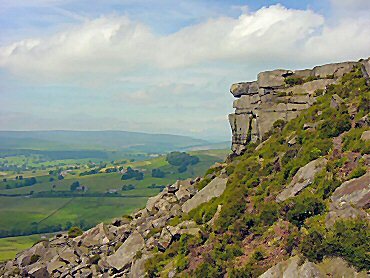 Another previous challenge Simon's Seat was clearly visible due north and Rombalds Moor was in sight due south. I was standing in the middle of my local walking country on a beautiful day and thoroughly in my element. Fantastic. I took in the views for quite some time. 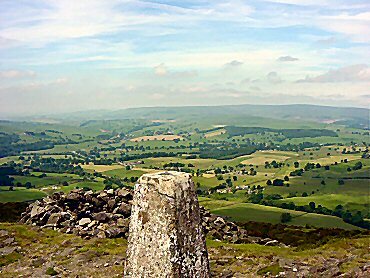 It is not often the weather is so accommodating in providing the optimum conditions for viewing panoramas and I was not going to waste it. Eventually I had sated myself and made my descent following my tracks along the ridge and off the top until I reached a footpath sign to Ling Chapel. From the sign I followed it north and east. 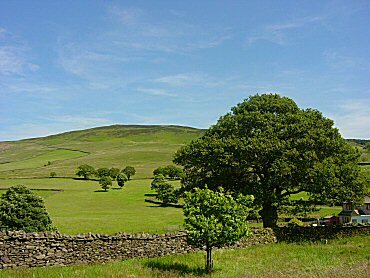 The walk was a pleasant interlude along the footpath past Ling Chapel Farm, Howgill Side and Howgill Farm. After Howgill Farm I dropped down to Kex Gill, a wonderful place lined with Alder trees. Deeply hidden in the foliage is a wooden footbridge. It is one of those 'gem' places I always stop and dwell at on a walk. I stayed in this special spot for a while before sadly climbing out of Kex Gill (which I will explore more thoroughly soon) to cross the A59 at Hill End. After I crossed the busy road I walked into nostalgia. The walk now took me over a road bridge across Priespill Gill, a road bridge I had crossed many years ago before the A59 had been straightened. Thirty years ago this dead calm spot on the bridge was on the busy A59. It was part of the notoriously windy section between Blubberhouses and Bolton Abbey. Traffic gone, it is now a lovely spot and I now was able to amble in the middle of the road! A couple of hundred yards after the bridge I cut right to the village of Hazlewood and after the village crossed fields to meet the road once more to Storiths. Along this section I was mocked by Curlews. There must have been young close by. I walked on. At Storiths I stopped off at Buffers Cafe and enjoyed a very reasonably priced pot of Earl Grey. I highly recommend a visit to this cafe if you are walking or even just visiting the area. Why pay extraordinary costs at Bolton Abbeys Pavilion Cafe when Buffers is so close by and much much better! After my lovely pot of tea I began the final stage of the walk by crossing lush green pasture fields to Beamsley Hospital. The hospital is very unusually shaped. Building started circa 1593 on the instructions of the mother of Lady Anne Clifford, Countess of Cumberland and was completed by Lady Anne herself. The building has seven rooms radiating from a central Puritan Chapel. Originally built for the poorest women of the area to follow a devout life it is now owned by the Landmark Trust. It is a remarkable structure and a must view on the walk. The final section of the walk is completed by crossing the A59 and following two fields down to a now more mature Kex Beck. 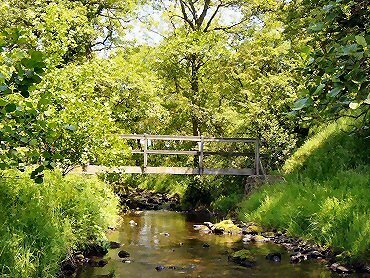 Follow the beck back into Beamsley to complete the walk.